Finding something to do for the summer just got easier with the opening of a special display about Little Golden Books at the Smithsonian’s National Museum of American History. “The Art of Little Golden Books” will share the story of literacy in America in a fun and interactive format that visitors of all ages can enjoy. Located in the Albert H. Small Documents Gallery, it will feature a sampling of the artists’ illustrations from several early Little Golden Books and will be on display from June 28, 2013 to Jan. 5, 2014. Little Golden Books transformed children’s reading habits in the early 20th century and became an icon in almost every American middle-class home. Before World War II, large-format, classic story books for children were prohibitively expensive and available to a privileged few. Little Golden Books offered new ideas and modern stories in an affordable format. 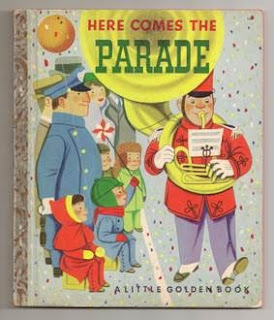 Visitors to the Little Golden Books exhibition will be able to view a reproduction of the original display units that were set up by the publishers after World War II in five-and-dime chains, grocery stores, and drugstores. In addition, some of the most popular books, such as Gaston and Josephine, Nurse Nancy, Doctor Dan the Bandage Man and The Two Little Miners, will be featured with a selection of classics for visitors to look through. The exhibit space will include seating, inviting visitors to read and relax as they take a step back in time with titles such as The Poky Little Puppy, Scuffy the Tugbout, and The Shy Little Kitten. Through incomparable collections, rigorous research and dynamic public outreach, the National Museum of American History explores the infinite richness and complexity of American history. The museum helps people understand the past in order to make sense of the present and shape a more humane future. The museum is currently renovating its west exhibition wing, developing galleries on business, democracy and culture. For more information, visit http://americanhistory.si.edu. The museum is located at 14th Street and Constitution Avenue N.W., and is open daily from 10 a.m. to 5:30 p.m. (closed Dec. 25). Admission is free. For Smithsonian information, the public may call (202) 633-1000.